Sometimes one can infer a great deal from a brief introduction. My brief introduction to filmmaker Michael G. Kehoe was his short film “Hush.” Kehoe has had a long an interesting relationship with Hollywood filmmaking, going from Sylvester Stallone’s assistant during the filming of Rocky IV to creating a short that was an Official Selection for the Sundance Film Festival in 1994 (“Second Dance”), forming his own production company (Taughannock Entertainment), and producing and directing a number of other projects in the interim. All this brings us to “Hush.” This very brief, but very effective horror short has been making the rounds on the film festival circuit all year long. I couldn’t make it to one of the festival screenings, so the director sent me a copy to watch in my home. With the lights off and the sound up, I settled in for what turned out to be six minutes of the most atmospheric and stylish horror filmmaking that I’ve seen in years. It’s all the more impressive in that it was filmed in under eleven hours with only a flashlight for lighting. “Hush” is the horror film equivalent of what foodies call “the perfect bite.” It’s a tiny sample of a larger piece that leaves you dying to see more. I hope to see much more from this filmmaker because Michael G. Kehoe has a firm grip on what makes for compelling visuals and for what’s really scary. 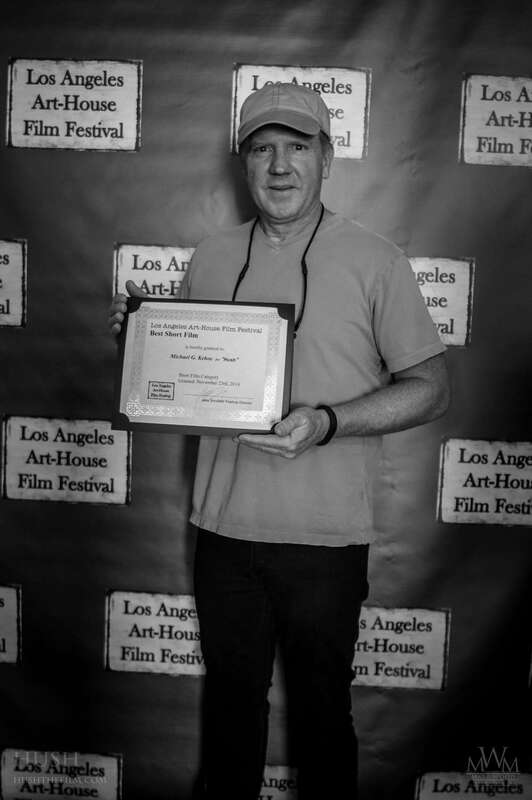 If you would like to see “Hush,” it will be screening at the Catalina Film Festival September 24-27 (you can check the “Hush’s” Official Site for future screening dates).